The college admissions process is filled with many difficult choices. Should you add one school or another to your college list? Which topic should you write about for your application essay? Which extracurricular is most important to include on the Common App? Which standardized tests should you take? Regarding standardized tests, many students find themselves debating whether they should the ACT or the SAT and SAT Subject Tests. The ACT and SAT are the two main standardized tests used in the admissions process, and most applicants take one or both of these exams sometime before they submit their college applications. Some schools do not require that students submit standardized test scores, but most do. Both tests are usually accepted by the majority of colleges nationwide and give admissions officers a better idea of how you compare with other students from different high schools in the application pool. However, there are a number of key differences between these exams. In this post, we’ll review the pros and cons of each option in order to help you determine which exam is right for you. As you may already know, the current SAT includes reading, math, writing and language, and an option essay. In contrast, the ACT is composed of a total of five sections: mathematics, English, reading, science, and one essay. As such, it allows for students to demonstrate more specialized skills in a given area. Because of this, many colleges often ask that students submit with the SAT and two SAT Subject Tests or just the ACT. This is because the ACT already gives a college admissions officer a good idea of a student’s performance in specific academic disciplines, just as the SAT Subject Tests would. However, some schools may require Sat Subject Tests in addition to the ACT. Many students are faced with the choice between taking only the ACT or both the SAT and SAT Subject Tests. We’ll start by analyzing the pros associated with taking only the ACT. One of the most obvious perks of opting for this route is that by taking the ACT, you will one have to take one administered test. You will have to sit for one testing session, and once you are finished, you will be done with the standard testing component of your college application. This is one key advantage the ACT choice has over the SAT/SAT Subject Tests combination; if you opt for the latter, you could be sitting for as many as four testing administrations–and that’s if you choose to take each test only one time. 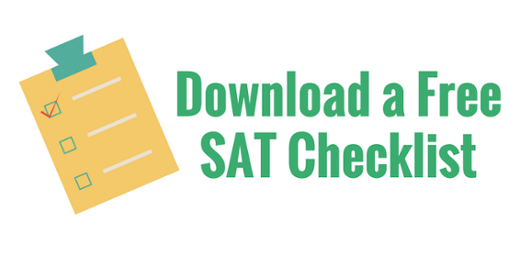 Should you choose to retake the SAT, you may have to endure many more testing sessions. However, it is worth noting that students typically do not retake the SAT subject tests. Additionally, you may also opt to retake the ACT as well. The ACT is an achievement-based exam, meaning that it is meant to test the knowledge you have acquired throughout high school. The ACT also tests students on more general concepts; therefore, less specific studying is required for the exam. Although it is certainly a good idea to study hard for the ACT, you likely will have to spend less time studying the nuances of a given subject than you would for the SAT/SAT Subject Tests. The Subject Tests in particular tend to test students on specific material from individual courses. Therefore, students may find themselves needing to know slightly more obscure details in order to do well on the exam. It is also important to consider the downsides of taking the just the ACT. For one thing, you won’t be able to show specific skills in one area. Let’s say you’re a potential history major who is deeply passionate about the past and intends to pursue this passion in college. You could convey this to college admissions officers by taking the SAT IIs in World History and US History, and also display you aptitude for this field by earning top scores. However, you would have no way to convey this if you chose to only take the ACT. Additionally, the more generalized format of the ACT may not play to your strengths. Perhaps you are not as inclined to the humanities as you are to science. The ACT is composed of two English-based sections and only one science-based section, so you may not be able to play up your science skills in this exam. Additionally, if you are more inclined to one specific branch of science — let’s say chemistry — you will also not be able to communicate this specific interest, since the ACT science section covers various different types of science in this one general section. Furthermore, the ACT is long, especially in comparison to SAT. The entire test, including the writing section, lasts approximately 3 hours and 35 minutes. You may find that your focus may dull after several hours of test-taking, which may prevent you from demonstrating your strength in later portions of the tests. Because there are so many options to choose from, the SAT Subject Tests allow for you to not only demonstrate specific skill, but also interest in a given field. Potential science concentrators can choose to take both the Biology and Chemistry subject tests. Future engineers may opt to take the Mathematics Level II and Physics exams. Those who are inclined towards classics may sit for the Literature and Latin tests. Additionally, the SAT Subject Tests often correspond to classes you’ve taken in high school. You may find that much of the material covered in these exams draws straight from the curriculum of a typical high school course in any given subject. Therefore, there is less test-taking strategy involved than with the ACT, since the material is often fact-based and straightforward. Additionally, the SAT Subject Tests also often correlate with the material taught in corresponding AP courses. As such, it is a good idea to take a given subject test around the time you take the AP for that same subject. Furthermore, the SAT Subject Tests are brief, especially in comparison to the rather lengthy ACT. These tests are only 60 minutes long, which allows students to fully focus on that subject within the time period, and not experience test-taking exhaustion that may lead to poor performance on the exam. However, many students take multiple subject tests in a given session, as they are offered very frequently. If you decide to take the SAT Subject Tests, you will likely have to sit for several test administrations. Some schools only require one or two subject tests, while others, like Georgetown, require three. You will not only have to think about taking the SAT IIs as many times as you need to earn a score you are satisfied with, but also simply taking enough subject tests to fulfill the requirements for all schools you are interested in applying with. This means that the number of tests you will have to sit through may quickly add up. Furthermore, the more specific content you’ll be tested on for the SAT Subject Tests means you have to focus your studying heavily in one area. Details are far more important on the SAT Subject Tests than the are on the ACT, and the nuances of a subject have the potential to make or break your score. Additionally, if the subject test you are taking corresponds specifically to a subject you are studying in school, you most likely can only take that subject in the May or June administrations, once the school year is drawing to a close and you are wrapping up your study of that subject. Keep in mind that this means that you will be taking the subject tests at the same time as final and AP exams, which can potentially be stressful and difficult and balance. However, depending on your personal preferences, this may also be viewed as a pro, in that you will be able to kill two birds with one stone in terms of studying. For instance, if you are taking the AP exam in World History at the same time as the SAT Subject Test in World History, you can prepare for both exams at once and thus cut your overall studying time in half. Ultimately, the decision as to whether you should take the ACT or the SAT/SAT Subject Tests comes down to the weighing of the pros and cons of each option. The major benefit of the ACT is its simplicity and generality, but if you would like to highlight your skills or passion in a given area, the subject test may be the better option for you. Want more information on the college admissions process? Our highly trained mentors are here to help. Learn more about our SAT tutoring program.